Darwin has 20 teeth, as of some time in the last two days. All the crazy sleep stuff from the last few days makes so much sense. The last two molars are just little white tips at the moment, so we still get to endure a plane flight Monday with teeth still erupting. But y’all, the end of teething is in sight. Just in time for number 2 and the next 20. Before Darwin was born we had a vague idea that we would cosleep with our babies. wWe had a friend who wanted to, but by the time her son was about 9 months old he would not sleep if she was in the room, so I had the caveat that we would do what works for us and the baby. We coslept with Darwin for 2 years, 2 months, but in the last few weeks her difficulty falling asleep in the first place became an outright refusal. She just wouldn’t, or couldn’t, fall asleep. Bed time by 8, asleep by 10, on a good night. And this with (at most) 90 minutes of sleep during the day and a 7 am wake up. And no. She doesn’t even sleep solidly from 10 to 7. It was bad. So after two years and two months of never using a crib, I got out the pack n play and we began to let her work out how to fall asleep. There have been tears (hers and mine), but sleep is happening a little tiny bit faster each night. Mostly she lays down and talks for about 45 minutes and then goes silent. Last night she was still chattering and getting loud at one point so I went in to tell her to quiet down and she told me she was telling her bedtime toy a story. I’m hopeful that this new arrangement will continue to move us in the right direction, but wary given how quickly things can change. I just keep telling myself that I can sleep when I’m dead. In the mornings, we either drop Darwin off with another mama, or Leah is with her for the morning and I go to work. Typically when I leave there are tears and requests for nurses, so I’ve tried to leave extra cushion time to nurse Darwin when she asks, particularly on days when I won’t be back for a nap time nurse. This morning we got to our swap house and Leah settled in to be with the kids. I don’t like to sneak out because the upset is greater when Darwin realizes I’ve just left without saying anything, but Leah had just sat down to nurse Linnea and so I asked if she wanted to potentially face an upset toddler now or later. She chose now, and so nonchalantly I told Darwin I was heading to work, and that I hoped she had a good morning. Her happy little voice echoed out of the dining room “Have a good morning MamaRae!” My heart is full this morning. 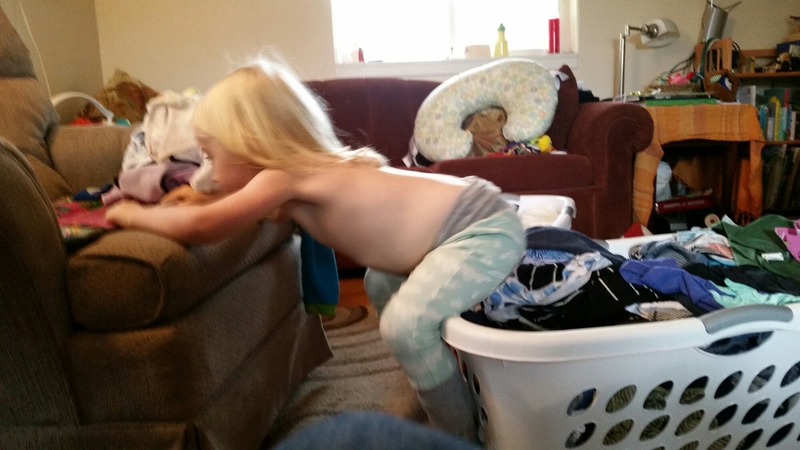 Most days we have clean laundry. I often am digging through a basket to find matching socks or an appropriately – weighted coat for one of the girls. I find that, finally, I am accepting that I really can’t get everything done all the time. Working 40 hours a week, plus upwards of 8 hours of week day kid time, plus house work, plus sometimes finding time to play with the pets we have, plus…so much stuff. 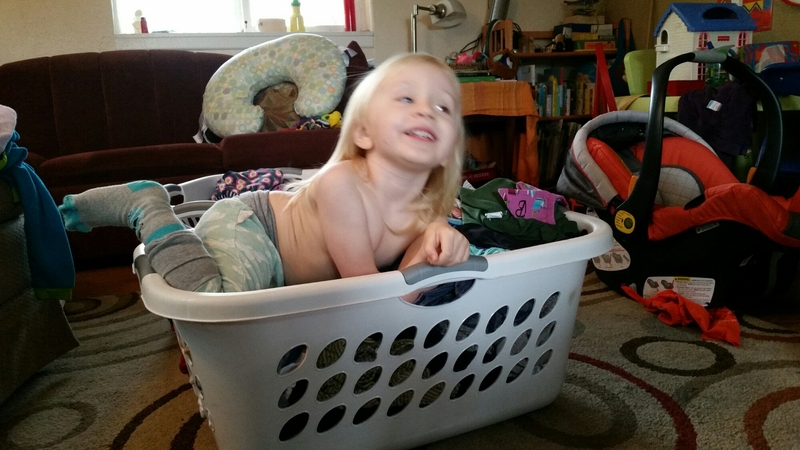 So the laundry may be wrinkled by the time I pull it out of the basket. But at least it’s clean. Mostly.